5 Gallon Solar Shower Only $7.99 Plus FREE Shipping! You are here: Home / Great Deals / 5 Gallon Solar Shower Only $7.99 Plus FREE Shipping! Campers and hikers, here is a terrific item for your outdoor adventures! The Solar Shower is a great addition to your gear, allowing you to wash off at the campsite without having to go in the lake or river. The shower comes with 21 hole shower head, a separate fill cap, an on/off valve, and a hanging/carrying handle for quick & easy hanging. 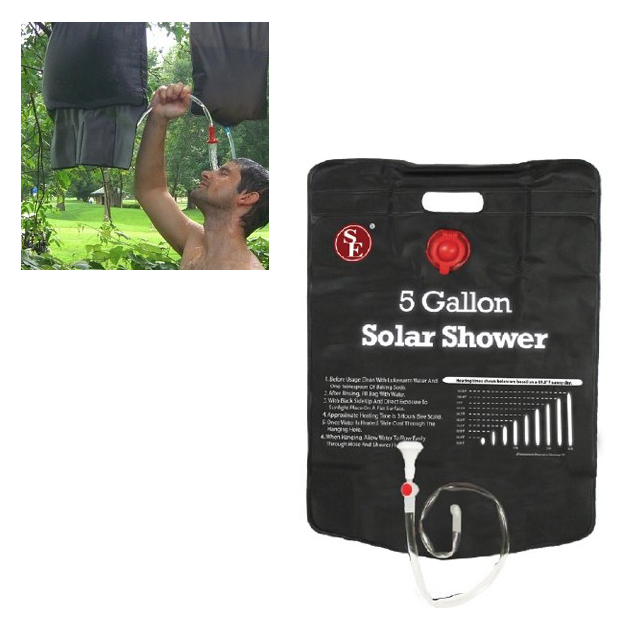 Get the 5 Gallon Solar Shower Only $7.99 Plus FREE Shipping!